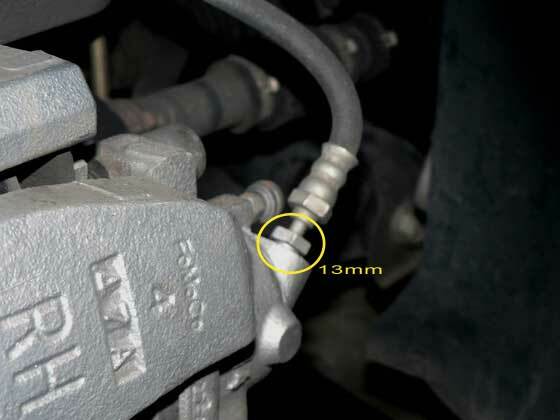 The following is a step by step guide to replacing the front brake lines on a 2.3L Mazda3. Note that both the 2.0L Mazda3 and the Mazdaspeed3 may use different parts than those shown here, so while these instructions can be used as a general guide, things like torque specs or other details specific to this car may not apply. Front Brake Line: 15-20 ft-lbs. Wheel Lug Nuts: 80-90 ft-lbs. 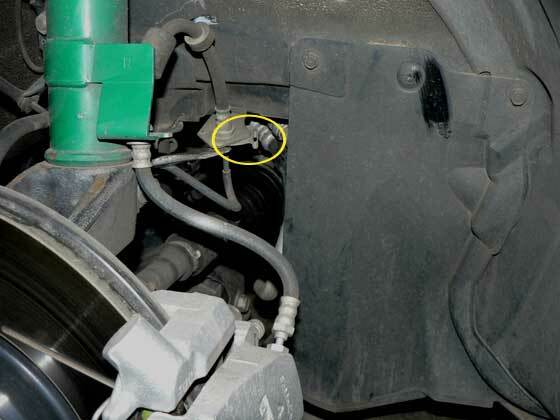 When replacing brake lines, or otherwise opening any parts of the system which may let in air (this does not include removing the reservoir cap) then you will have to bleed the lines to purge any air. Generic instructions for doing so can be found here. Ensure that the car is in gear and the parking brake is off. Chock the wheels to ensure the car doesn't roll. Jack up the side of the vehicle and secure with sturdy jack stands. Never work under a car supported only by a jack. It is recommended that you use stands rated for at least 3 tons each. Check the brake fluid level, top off if necessary. Jack up car and remove wheel. Using a flat-head screwdriver and mallet remove the clips holding the brake line to the strut and to the frame mounted brake line bracket. 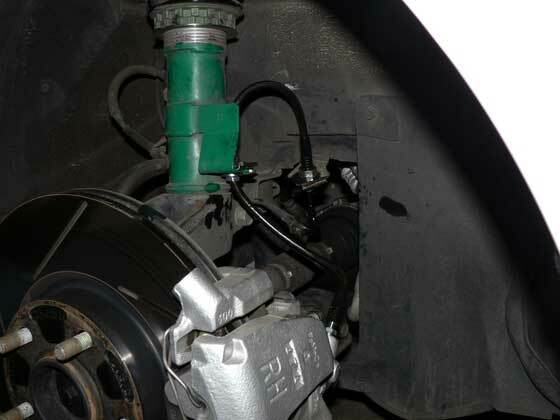 Place a catch can/basin under the caliper to catch the brake fluid. Using a 13mm flare nut wrench, unscrew the brake line from the caliper. Using a 16mm open end wrench to hold the top and a 10mm flare nut wrench to turn the bottom nut, to loosen the compression fitting. 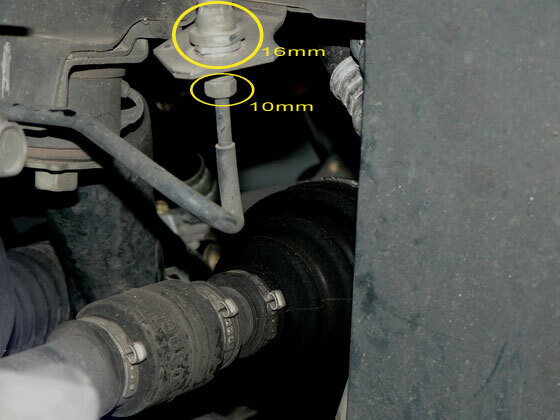 Unscrew the bottom 10mm flare nut until it is disconnected from the rubber brake line. 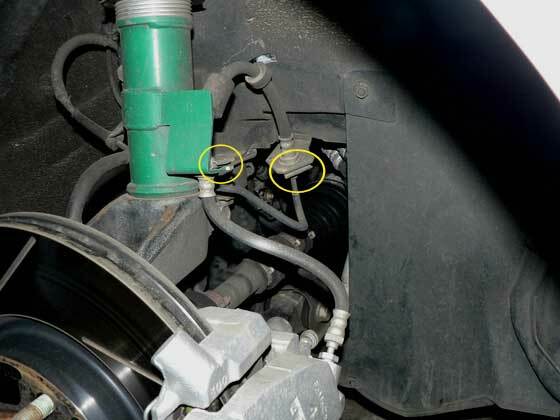 Attach the brake line to the hard line. Using an 17mm flare nut and a 10mm flare nut wrench, tighten the bottom flare nut. Slide the retaining collar up the brake line and insert it into the brake line clip on the strut. Using a 13mm flare nut wrench, attach/tighten the flare nut to the caliper. 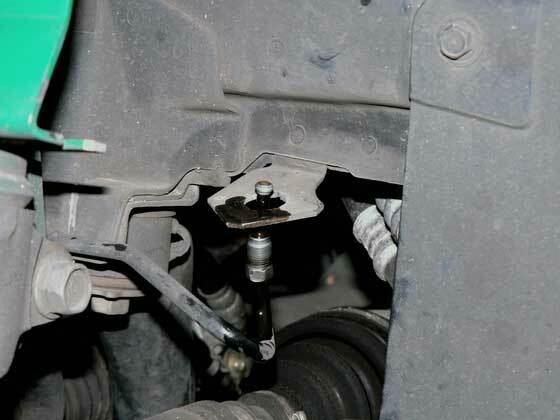 Gently pull on the section between the strut mount and the caliper to ensure that there is a just a little slack in the brake line, this is to ensure that there is no strain on the lines when the wheels are turned. Re-install the (2) brake line retaining clips on the strut and the frame bracket. 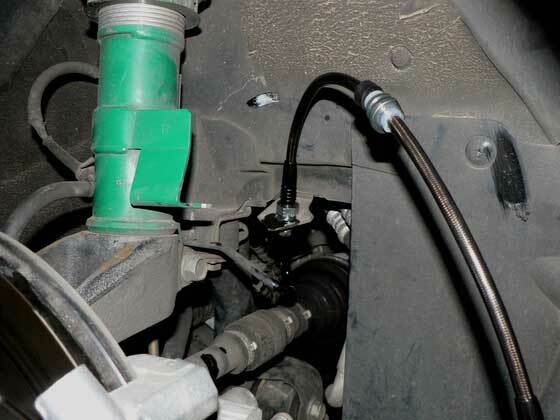 Follow the procedures to properly bleed the brake lines, and purge any air out of the system. 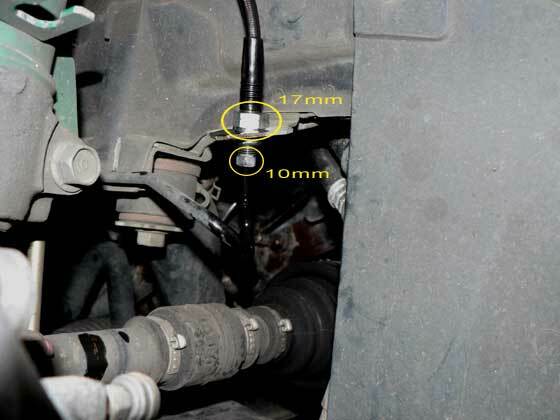 After each line change, top off the brake fluid level in the reservoir using Dot3 brake fluid.